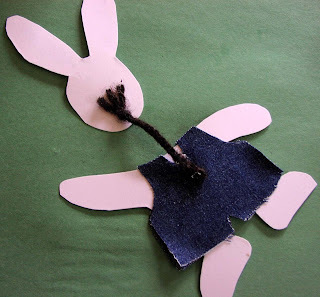 Make this cute Easter bunny craft! This weekend we created our own dress-up bunny. The kids and I had a blast making them! I am not much on templates but I scanned in the basic shapes you need for your dress-up bunny. You can use your own free form drawings but don't fret to copy mine. You can make it as large or small as you feel right. 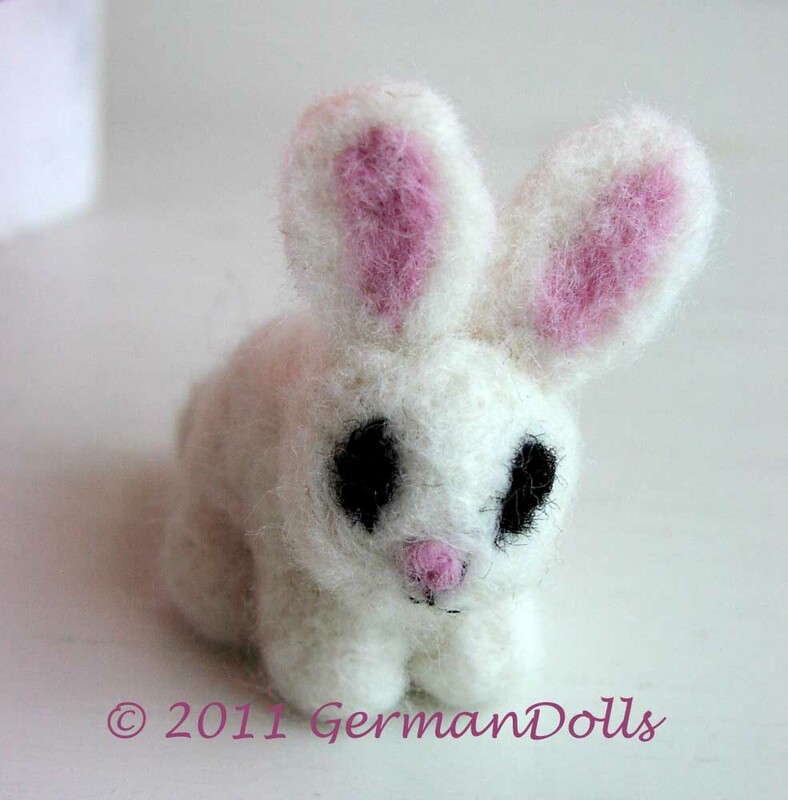 Our finished bunnies measured around 7 inches from top of the ear to the feet. 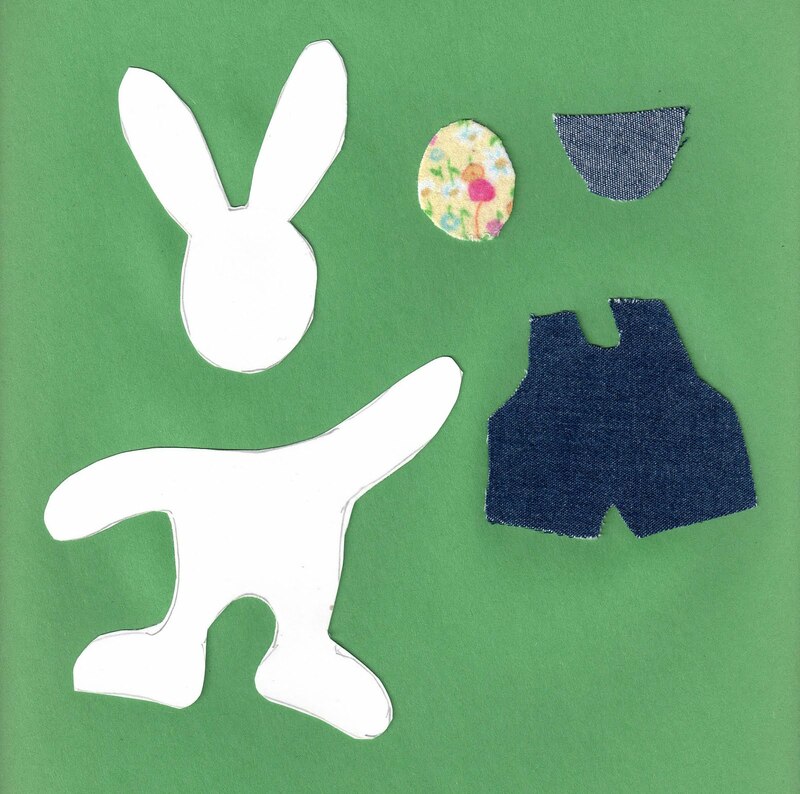 Step 2: cut from fabric scraps two sets of pants (making sure to flip the pattern over so they match), then cut one pocket, one Easter Egg to go in the pocket. 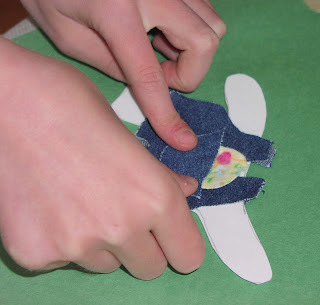 Step 3: glue the clothes onto the body. Pants or respective dress parts go on front and back. Then glue egg and pocket over the egg. Step 4: Make a neck by braiding three pieces of yarn together. The little braided neck is about 1 inch long. Make a knot on each side. An adult (or authorized person) should now use a hot glue gun to glue the knots to the body and head part. Step 5: Take a black marker or pen and add the bunnies face and color in the ear part. 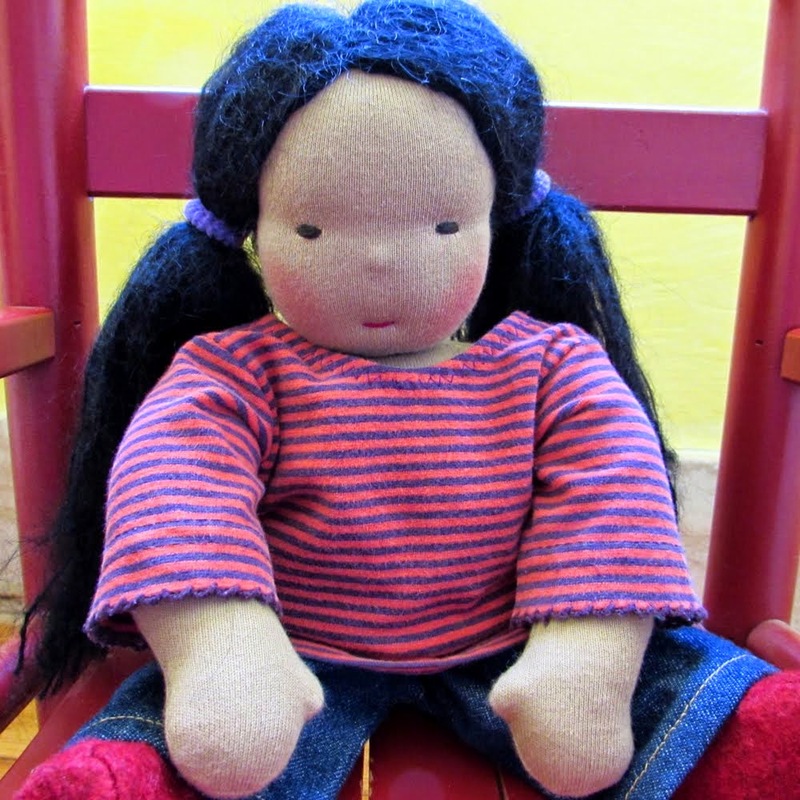 Step 6: Poke a little hole in the top of the head, right above the eyes and pull a piece of thread or strong twine through, loop around and make knot in the back. Done! 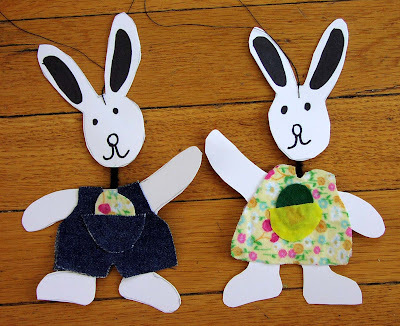 You can hang your cute bunnies anywhere you like. They will look great hanging from an Easter bouquet or centerpiece on your table. We hung ours from the chandelier over the dining table. You could even make a cute Easter mobile with them. Or use them as a card?